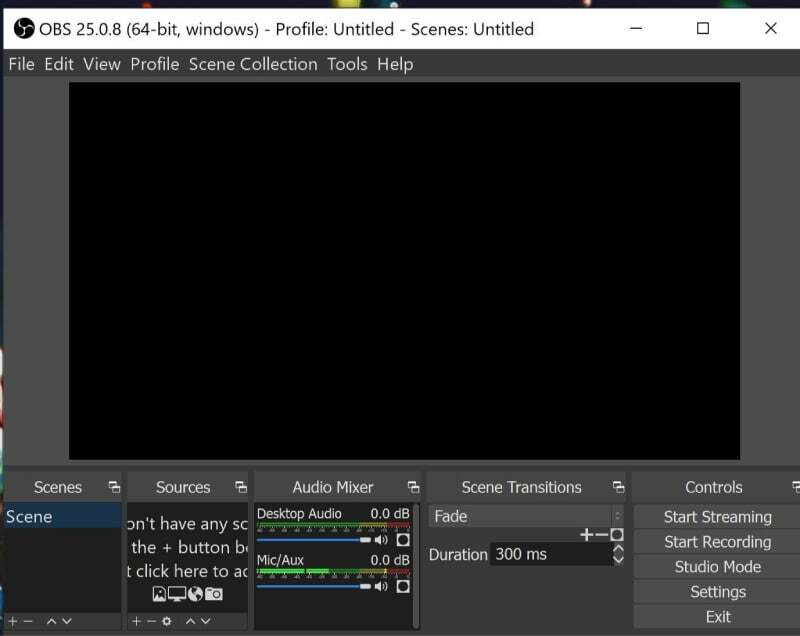 XSplit Broadcaster is widely used for streaming needs as it makes streaming task much easier and allows delightful processing. It is commonly used for conferences, game broadcasting needs, distance learning programs and many more. But there are few restrictions over software tool that force users to search for alternatives. Open Broadcast software works extremely well for streaming applications and the best part is that it is an open source tool where users can make so many changes in coding to get customized results. OBS is commonly used in video sharing applications or game streaming as it extends support to some of the most popular video file formats like MP4 and FLV etc. 1. Offers intuitive audio/video mixers for generating professional outputs. 2. Advanced filters for videos available such as chroma keying, colour correction tool and image masking. 3. Provides fastest noise suppression and gain improvement services. Compatible with Window, Linux and Mac environment. Dark as well as Light themes are available. Limited to basic and beginner friendly needs. FFSplit is also a well known free ware software tool that helps users to record and capture desktop movements with ease using very high quality stunning video formats. Recordings can be easily shared on live platforms or they can be saved on personal computer for later access. 1. There are plenty of features including overlays, webcams, hotkeys etc. 2. Live share feature added so users can easily send their creations of websites. It never poses too much load on system due to its light resource utilization feature. Available for free with all useful features. It is not compatible with Window XP. Window only, cannot be accessed on iOS or other devices. It does not offer any built in type game source capture tool. You will love to explore so many new features to Gameshow that are added recently with its last update. The revolutionary scene building system is really useful for professionals as they can process multiple scenes together within very less time. It offers playlists for full screens so that users can easily customize their broadcasting process. 1. Contains lots of templates, widgets etc. and allows fastest streaming services. 2. Customization feature added where users can add logos to design. 3. Multiple layer scene building process. Noise reduction arrangements available over single window that is audio source window on software. Easy import feature that calls previous projects easily on timeline. If you are a regular game streamer and need a professional like solution to impress your audience then Wirecast is best for you. It is able to capture video details from multiple devices at a time like web feeds, computer desktop, iOS and live cameras. 1. Users can easily add animates titles, lower thirds, transitions like elements t their live streams. 2. This platform allows direct streaming to Facebook, Twitter etc. 3. It is much easier to explore wirecast platform as a beginner as it can be used over any existing hardware. Best solution for live events, interviews, concerts etc. Anyone can develop videos to share as one demand service or for live streaming. It is best solution for gamers with its full HD recording abilities at 60fps. Its functionality can be easily improved with additional plugins. Live comments cannot be seen within program. Vmix is a portable, affordable and SDI based recording and live production tool that provides impressive results even with minimal efforts. The best part is that it can process 4k recordings so it suits to professionals. This software tool is available in three versions, the first one is vMIx GO Jr with price tag of $7,950 only, second option is vMIx GO Base at price range of $9,950 and last option is vMIx GO Plus with $11,950 price tag. 1. It offers wide range of titles, templates and additional editing tools so that users can easily develop professional like streams. 2. The HTML interface can be used to activate two use modes on vMix so that two person can work on same project simultaneously. 3. vMix offers instant replay capability that adds delay in interface and content can be easily shorted on the basis of normal, fast or slow motion process. Easy sharing on social media platforms like Facebook, Twitter and IRC chat accounts etc. Impressive results with high quality video content. It works only on Windows platform. You need to spend a big portion from your savings to get this software tool. How to Choose a Live Streaming Platform with 10 tips?